Where to Buy Catchmaster Glue Boards, Catchmaster Glue Board Traps - 72TC, 72MB, 24GRB - $6.95 for Sale with Fast Free Shipping! 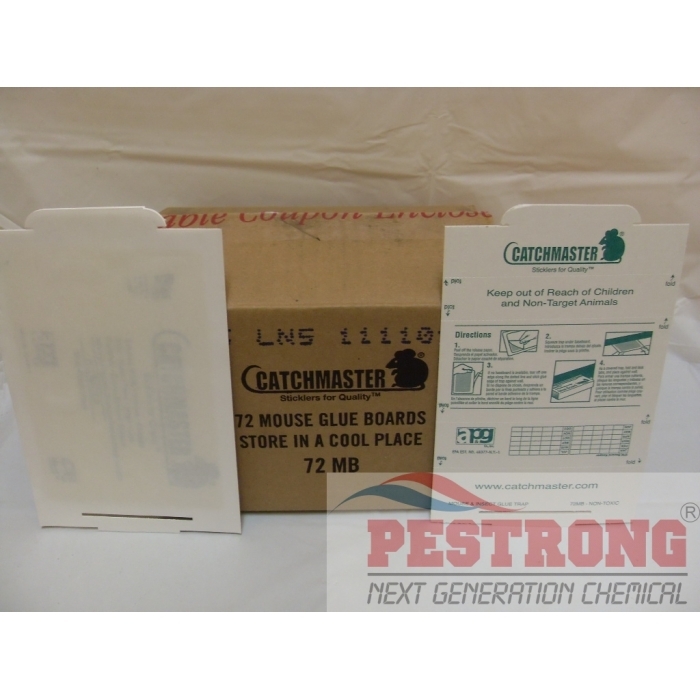 Catchmaster Glue Board Traps - 72TC, 72MB, 24GRB can be used to catch Insect, Rat, Mice, Snake, Squirrel, Lizard. 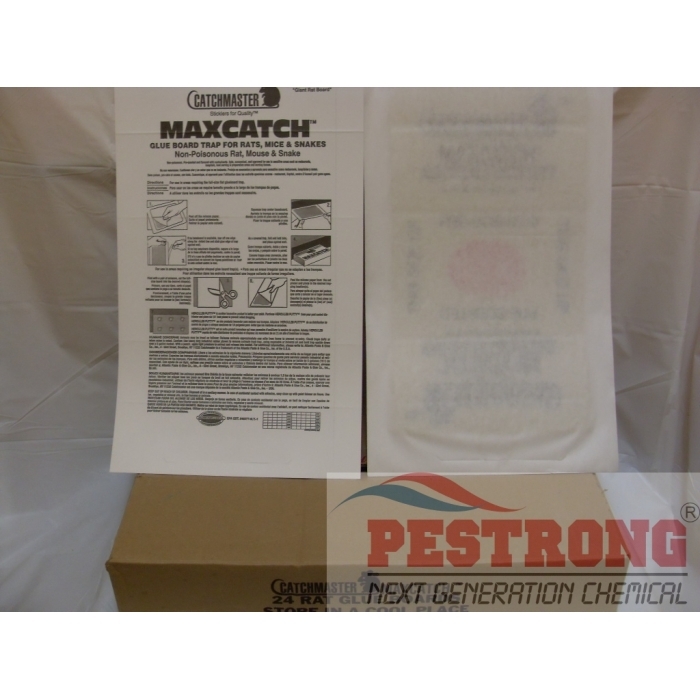 Plant Starter 12-48-8 Soluble /w Micro - 3..
Gourmet Ant Bait Gel Insecticide - 1.5 oz..
-- 72TC (72 Boards) for Mice, Insect (economic size) 10.125" x 4.04"
-- 72MB (72 Boards) for Mice, Insect (normal size) 8.5" X 5.25"
-- 24GRB (24 Boards) for Rat, Snake, Rodent (super size) 18.5" x 10.5"
Choose your size and qty! My son used some. He liked them so we're buying more. Very easy to use because these are pre-set and also effective. This is a great product for a very affordable price. This is perfect! I tried out the blox for mouse/rats but didn't have much luck! Hopefully, this will do it's job! Will try a few out first and then order more! I love these glue boards!! I have purchased glue boards from ACE Hardware, Walmart, and Tractor Supply - Their glue boards can't touch the quality and value of these. Years ago, I had acquired a few of these particular boards thru Terminex. I moved into a house that has large fields on 3 sides (thus the field mice). Pulled these out - and caught them all! I must say this: I set 6 traps from the suppliers named above. On all 6 traps, I placed a small piece of popcorn. Within a day, the popcorn was gone - and no mouse on any of the traps. This was upsetting. 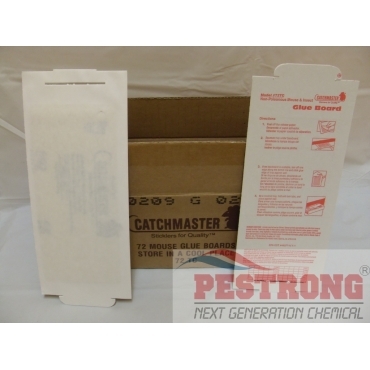 I did the same thing with THESE glue boards (even though they are pre baited). I have caught a mouse on every one of them. NO MOUSE WALKS OFF THESE BOARDS. Also, this company (Pestrong) ships really fast. Great stuff and great price! easy to install and work really great ! Extremely sticky! Works fine for rodents. Thanks for providing all purpose glue board.